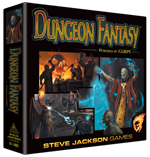 So, it looks like a bumper month for GURPS Dungeon Fantasy and the Dungeon Fantasy Roleplaying Game. 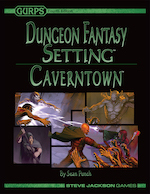 Recent months of Pyramid also proved that folks like new types of magic and GURPS Action. And some perennial classics continue to fill out the top. Other good-sellers that weren't listed (because they're either not GURPS or not PDFs) were the ever-popular GURPS Character Assistant software, the recent Ogrezine (for Ogre), and the classic Robin's Laws of Good Game Mastering. If any of those best-sellers sound interesting and you haven't picked them up yet, now's a great time to join the fun! And to sweeten the deal, you'll find some of these classics on sale now on W23. They're 23% off through June 22!